One of the biggest things to note when playing Halo 3 is that it is not hitscan. 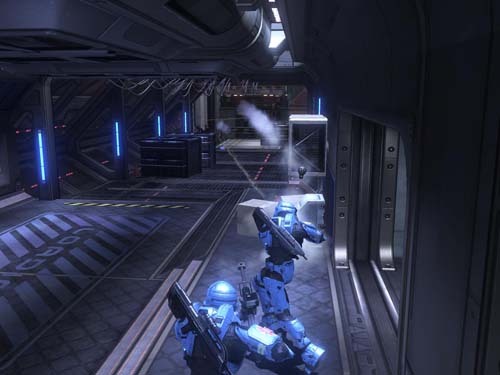 This means that Halo 3 more closely resembles real-life physics, and when firing a weapon upon the enemy from a distance, your bullet does not immediately hit a moving target; you must adjust for travel time by shooting ahead of your target. Also of note are three objects that can be used in Halo 3 as weapons, for a one hit melee kill: the oddball, the bomb, and the flag. The BR55HB SR (Battle Rifle 55 Heavy Barrel Service Rifle) Battle Rifle is the Halo 3 Battle Rifle, and can be found on every multiplayer map. It is useful for medium to surprisingly long range, and on gametypes without BR starts is a part of any sensible team’s first rush strategy. The Assault Rifle makes a comeback in Halo 3, with moar power and range, albeit a smaller clip, and is the starting weapon in most playlists. The bullet spray of this rifle becomes less accurate the longer you hold the trigger, which is controlled by using rapid, controlled bursts at anything longer than point blank range. This weapon does not do more damage to the head than the body, so aim for the largest mass on your enemy. 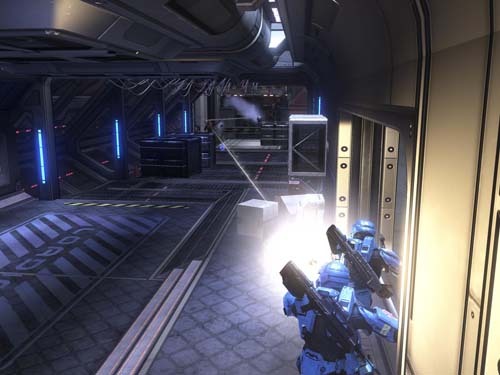 In Halo 3 the shotgun magazine was cut in half, but the kill range was bumped back up, making it lethal at two to three times the range it was in Halo 2. In Halo 3 the SMG recieved an upgrade to accurace, range, damage and rate of fire, with a delay before the barrel climbs when spamming the trigger (firing the weapon). It is still more accurate to use controlled bursts when firing this weapon. The SMG continues to be dual wieldable in Halo 3. Something of note is because Halo 3 is not hitscan, the contrail on the Halo 3 sniper is also lethal. This means if your teammate walks into the contrail after you’ve fired your shot, you will get a betrayal. I know; I’ve done it and had to prove it with screenshots. See them below it’s stats. I’m scoped in and take my shot. No RevDotNed (teammate) in sights. Third-person view of target being sniped; Rev is to my right. I’ve stepped from the wall, contrail remains. Rev steps into contrail. That sniping incident was not the first of it’s kind I’ve witnessed in Halo 3; it appears to be a normal part of the mechanics for Halo 3. 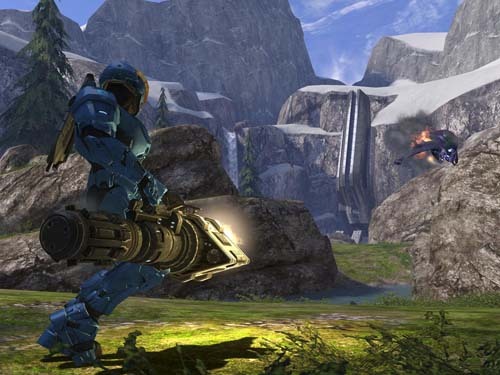 In Halo 3 the Rocket Launcher was given an upgrade, with the M41 HEAT rocket traveling at a greater speed towards your target, and a faster reload and melee time. Unfortunately, it was stripped of it’s vehicle-locking ability. The Halo 3 frag grenade behaves differently than the previous two Halo installations, going back to it’s roots, and will not explode mid-air unless shot. They also began to behave differently in Halo 3, where they will not bounce off sand or snow surfaces. 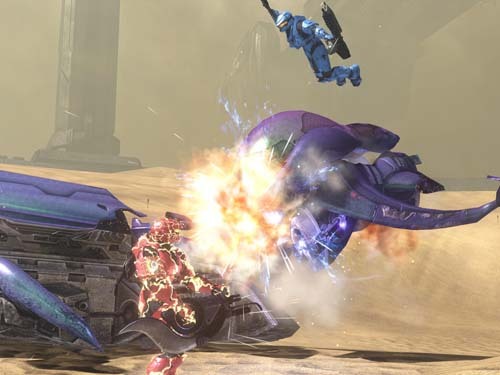 It is also possible to deflect a rocket with a frag grenade blast in Halo 3. That’s it for the UNSC weapons, now before we go on to the Covenant weapons, why not check out this Ragdoll physics comparison between the Halo games? Be amused – I was! Halo 3 marks the change where the plasma pistol could no longer be held in charge mode without draining it’s reserve plasma battery. 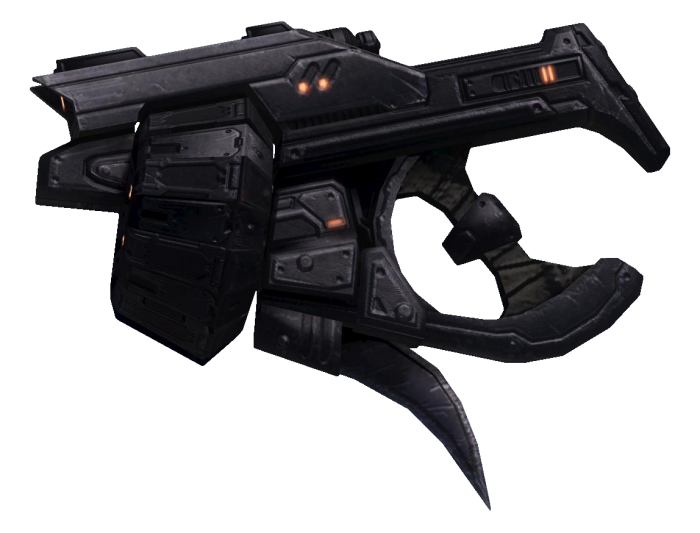 In Halo 3 every second this Covenant pistol is held in charge mode, the battery is drained by approximately 3%, with the overcharges depleting it by 10%. Another downgrade to this pistol in this installment is a reduction in lock-on to enemies for the charged shot. And although it charges quicker, it takes longer to cool down. 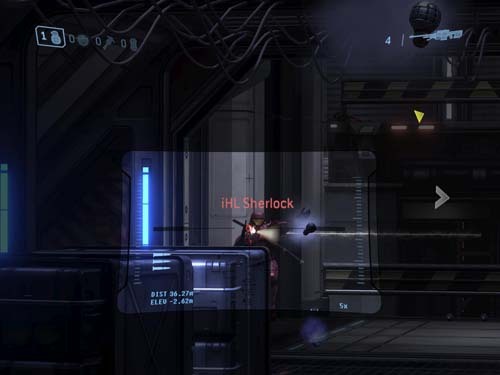 Although the Plasma Rifle is used often at short range in full-automatic mode, it can also be used to ping enemies at a distance with single, controlled shots. Like it’s previous versions, this Covenant rifle is prone to overheating if fired continuously, and will begin to mis-fire when down to 10% energy reserves. Halo 3’s Plasma Rifle is much more powerful than it was in Halo 2, and has a faster plasma-bullet travel time. Because of this, at certain ranges you may find that you don’t have to lead your shots as much as you do it’s UNSC counterparts. Although the Mauler is considered one of the weaker of the close-range weapons, one shot and a melee dispatches your enemy fairly quickly. It is believed the Mauler can sometimes kill in one shot. 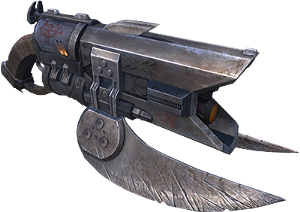 The Brute Spiker is another Covenant assault-type weapon that is best used dual wielded at close quarters. Because it’s bullets are made of solid matter, it’s best paired with a plasma weapon for dual wielding such as the Plasma Pistol or Plasma Rifle, so they can work on your enemy’s shields while the Brute Spiker cuts through armor and flesh. In Halo 3 the Needler is no longer dual-wieldable, but it has a higher rate of fire, accuracy, speed and damage per needle. The reticule must be red to track, and although Halo 3 does not support multiple needle combine explosions, when the needles do go, the explosion now is comparible to a plasma grenade, dealing similar damage to anyone near. Upgrades to the Covenant Carbine for Halo 3 include a better stock of ammo found among multiplayer maps, and a two-magazine start, double what was given in Halo 2 multiplayer. In Halo 3, the Brute Shot does slightly less damage. 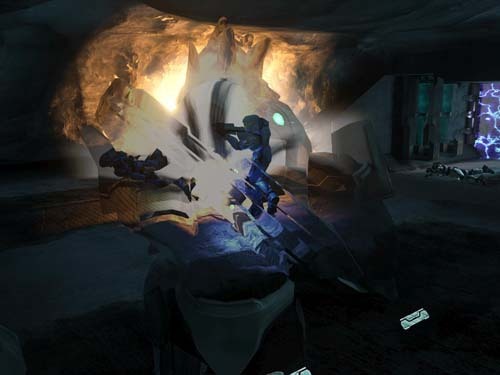 Unlike in Halo 2 where you can bounce Brute Shot grenades around corners, the Halo 3 Brute Shot grenades explode on impact when they come into contact with a solid object. If they do not hit an object, they explode in approximately three seconds. The Brute Shot can flip the Mongoose and Warthog. This Covenant sniper rifle like many of their weapons fires energy matter as opposed to projectiles. Regardless, it’s as lethal as the UNSC sniper, perhaps even more so with it’s ability to fire two shots in more rapid succession, although like in Halo 2 it will be useless for a few seconds afterwards from overheating. 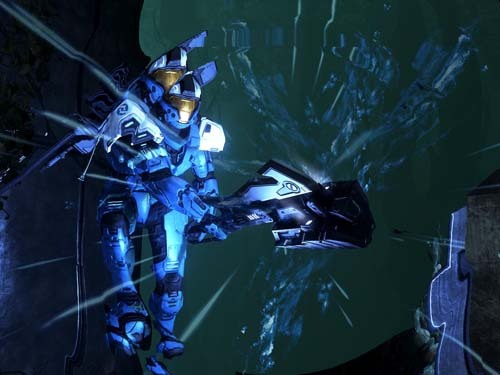 In Halo 3 the biggest change to the energy sword from Halo 2 is the ability to block incoming sword attacks with another sword. The resulting clash will drain both shields, but neither will die unless one of them gets the better of the other. 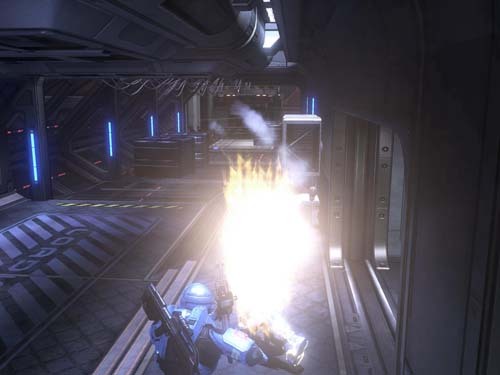 The Halo 3 Plasma Grenade has a shorter time to detonate after thrown than it does in Halo 2 by approximately one second. 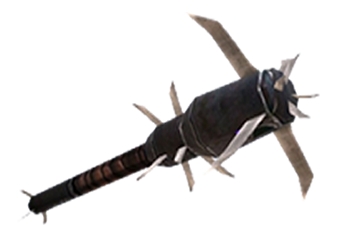 Brute Spike Grenades stick to solid objects they’re thown at, flying razor sharp shrapnel in all directions, upon detonation, which can ricochet off hard surfaces and cause further damage. 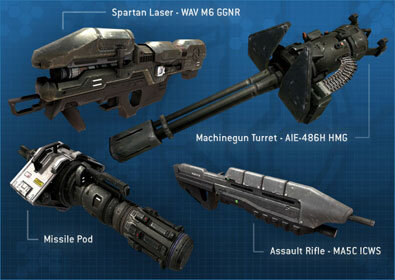 Mounted Turret – The mobile 50 caliber turret your Spartan rips off it’s tripod, was seen in Halo 3 first. Plasma Cannon – This Covenant turret is the Mounted Turrets equivalent. 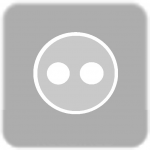 Missile Pod – Locks on to vehicles. Drivers are alerted to lock on. Flame Thrower – Takes a second to fire up, but once your victim gets cooking, it takes awhile for the fire to go out. Watch out though, if you step in the puddle of flame, you might go up in smoke, too. 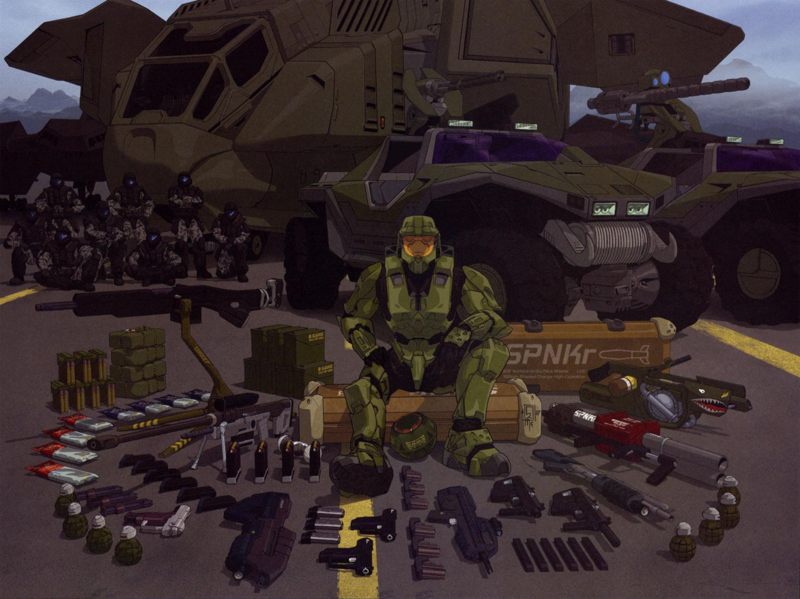 Well, that wraps it up for Halo 3 weapons. Do you have any favorite screenshots from Halo 3 or Halo 4 that have to do with vehicles, glitches, strategy or abilities, or Halo 4 weapons? If so, post a link in the comments and we might use them in upcoming issues of “The Master Chief Collection for Dummies”! If you aren’t already registered, you can log in easily with one of your existing social accounts, including your gamertag. Until then, have a good week, and see you next episode for more Master Chief Collection for Dummies goodness.